Teach on Mars and Anders Pink will take Mobile Learning and Performance Enablement in Europe to a new level with an elegant and compelling user experience boasting industry-leading smart content curation capability. Teach on Mars is recognised as Europe’s leader in the deployment of mobile-optimised solutions for corporate learning and content management. Its app is a personal learning assistant that every single user can carry around in his or her pocket. And thanks to its technology, corporate customers can create bespoke learning activities that are compelling, elegant and fun. Whether you’re using Teach on Mars for competency development, performance enablement or community mobilisation, content is always going to be a huge challenge. By building the engagement that mobile platforms are capable of generating, you naturally create a huge appetite for more activities among your user community. That’s a great problem to have, but a problem nonetheless. Because keeping pace with the demand for high-quality new content will put a huge strain on your time and resources. It can take hours, even days, for an expert content designer to craft an activity that the user will consume in a matter of minutes. Furthermore, it would be a mistake to believe that you no longer need to create your own bespoke content for every application. The received wisdom in today’s organisational learning environment is that custom-built content is no longer king – simply because there’s so much great content freely available out there. But it’s not that simple – and this approach in turn brings its own host of challenges. How do you help learners and users navigate through the huge variety of digital content available, where the sheer diversity and scale of what’s on offer can rapidly transform the landscape into quicksand or a minefield? How do you filter and select the right content and give it sense and meaning? And how do you distribute it to the right user populations and consistently weave it into your broader digital learning offer? This is where automated content curation – and its ability to bring the very best content relating to precisely selected themes direct to the individual user thanks to sophisticated algorithms and AI – comes in. One of the leading lights in the automated content curation sector is Dublin, Ireland-based Anders Pink and Teach on Mars is thrilled to announce that the two companies have just concluded a global partnership agreement. This alliance will offer customers a totally unique, fully integrated solution that addresses what are arguably the two hottest topics in today’s organisational learning and smart content management marketplaces. You’ve had an illustrious career in the EdTech industry. Tell us about how you came to found Anders Pink. I don’t know about illustrious, but I’ve certainly been fortunate to spend 20 years in the digital learning industry, which for most of that time has been defined in terms of courses and platforms. When founding Anders Pink in 2015 I looked at my own learning style and asked myself: “Do I really learn from courses?” The answer, of course, was “no”. I realised that when I want to stay smart about something I looked to the web for resources. And I didn’t think I was alone in that. I figured there must be a way to industrialise that process and make it work with a learning lens on it. It was my way of staying in an industry I love but adopt a new approach that was different and modern and added new value. Why should customers care about content curation? The primary reason is that their audience – the learning populations – care about content curation. They care about it a lot. All the recent surveys by authorities such as Jane Hart prove learners nowadays value web-based resources way more than they value custom course resources. That doesn’t mean web resources are intrinsically better than courses, but it does mean your learners are already doing content curation for themselves. Which is why corporate customers need a solution to help, support and channel them. Curated content doesn’t replace courses – it simply recognises that the learning doesn’t stop when the course ends. It all fits together as part of a continuum. Why the partnership with Teach on Mars? Surely not just because – like your own – it’s a company with a cool and quirky name? Yeah, nice idea. Let’s combine the two coolest, quirkiest names in the industry and see what happens! No, seriously, we found very quickly that we were very closely aligned in a lot of the ways we think about learning. Teach on Mars is mobile and facilitates continuous learning in the workflow – which is exactly what Anders Pink is trying to do too. I think we all have a lot to learn from how people consume content – any content – nowadays, be it media, or anything else. It’s on the fly and in real time. ToM and Anders Pink are trying to respond to that need and mesh with that dynamic. Together we can hopefully make something as unique as our two names! To find out more about how automated content curation will be integrated into the Teach on Mars mobile learning solution, drop us a line at contact@teachonmars.com to the attention of Emmanuel Remy. 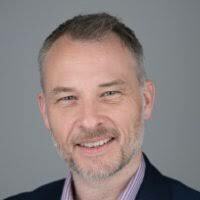 Stephen Walsh from Anders Pink will also be speaking about how to build a winning digital content strategy at the upcoming Teach on Mars Mobile Learning Summer University, an event dedicated to our top 50+ clients in Sophia-Antipolis, France on July 4 and 5.